Dr. Downs will represent District 4, covering South and Central Texas. 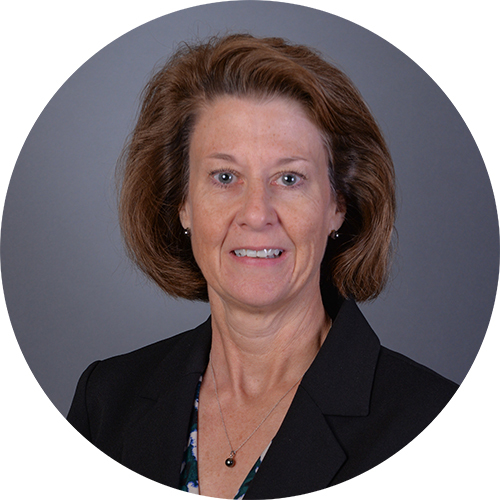 Dr. Lynn Downs was recently elected to serve on the American College of Healthcare Executives (ACHE) Council of Regents representing District 4 covering South and Central Texas. Her term will begin in March 2019 and run through March 2022. As Regent, she will support both the Central and South Texas Chapters, the higher education network and others in the local healthcare community to deliver programs, products, and services to healthcare executives, faculty, students and stakeholders. 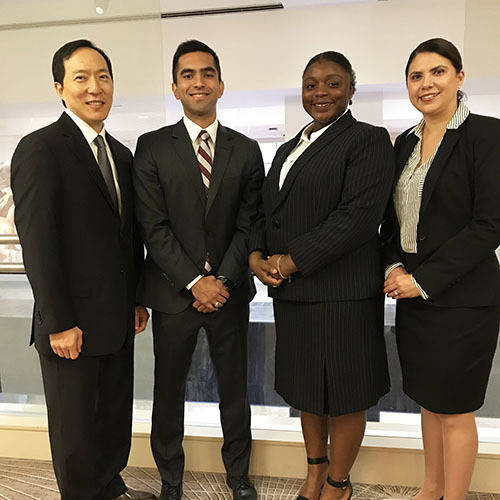 Three MHA students (class of 2019) competed in the Everett V. Fox Student Case Competition in Orlando, Florida, in October 2018. On October 9-12, 2018, three MHA students from the Class of 2019 participated in the Everett V. Fox Student Case Competition. The students – David N. Sanchez, Mona Loordu and Mona Antwi – represented the program well. MHA Director Dr. Forest Kim also attended the event. Although the team did not advance, the case competition was an excellent learning and networking opportunity. 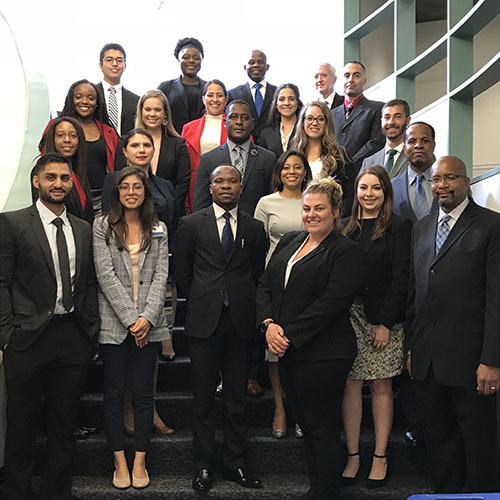 The Case Competition was held annual at the National Association of Health Services Executives (NAHSE) Annual Conference in Orlando, Florida. NAHSE is a non-profit association of Black health care executives founded in 1968 for the purpose of promoting the advancement and development of Black health care leaders, and elevating the quality of health care services rendered to minority and underserved communities. The event was held in the UIW Student Engagement Center Ballroom on Oct. 4, 2018. MHA students from the class of 2019 and 2020 attended the UIW Career Services’ Etiquette Dinner on Oct. 4, 2018. The event was held in the Student Engagement Center Ballroom. Students had the opportunity to meet and learn from students in different programs during the cocktail hour, share a wonderful meal, and learn some basic dinner and business etiquette through an engaging guest speaker followed by a robust question and answer session. This was a great opportunity for students and sponsors alike. The symposium was focused on educational events for the student and early careerist. 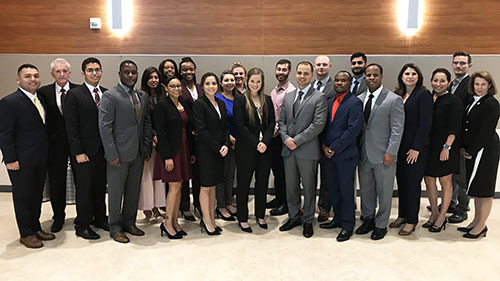 On Sept. 21, 2018, MHA students from the 2019 and 2020 classes attended an Educational Symposium hosted by the American College of Healthcare executives (ACHE), South Texas Chapter (STC) at St. Mary’s University, San Antonio, TX. The symposium was focused on educational events for the student and early careerist. Two education panels titled “Strategically Mapping Your Early Career Development” and “Quality Management Systems” were offered providing 3 hours of educational credits. This event was attended by over 130 students and early careerists. 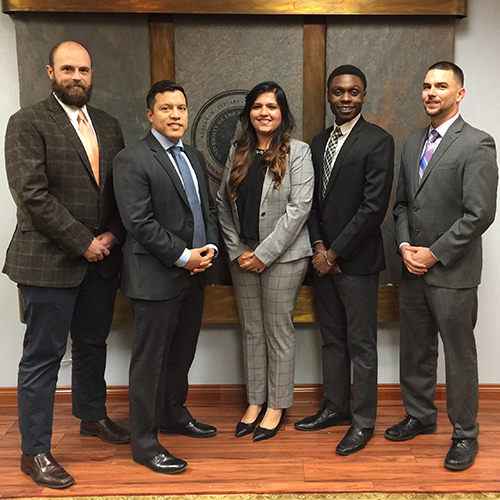 A team of five students in the Master of Health Administration program won the Gulf Coast MGMA Case Competition Oct. 28, 2017, in Houston. The team developed a behavioral health program that demonstrated an ability to engage patients, improve patient outcomes and provide cost-effectiveness for the organization, all while maintaining provider and patient satisfaction. 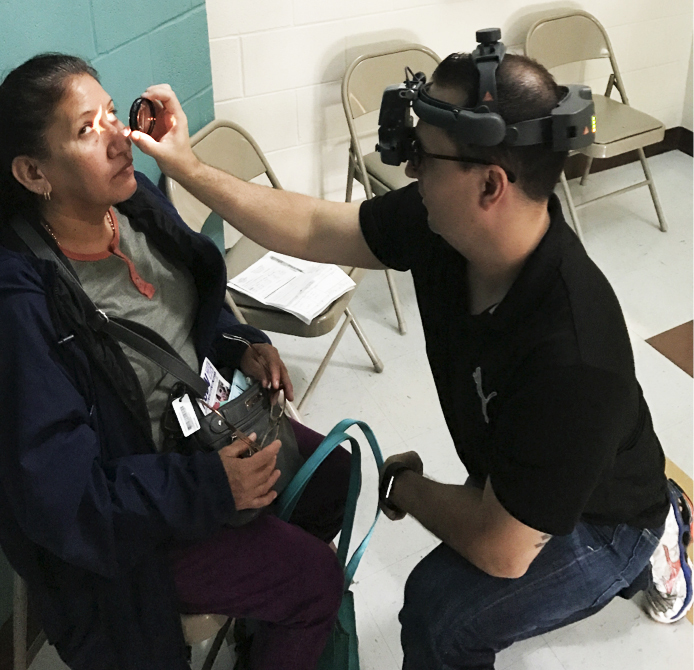 Army Maj. Steven Gutierrez offered his time and expertise as part of group of volunteers providing free eye care to uninsured and under-privileged patients in Alamo, Texas. More than 300 men, women and children were seen for routine examinations over the course of the three-day mission. More than $70,000 worth of professional fees and eyewear were dispensed at no charge to the patients. 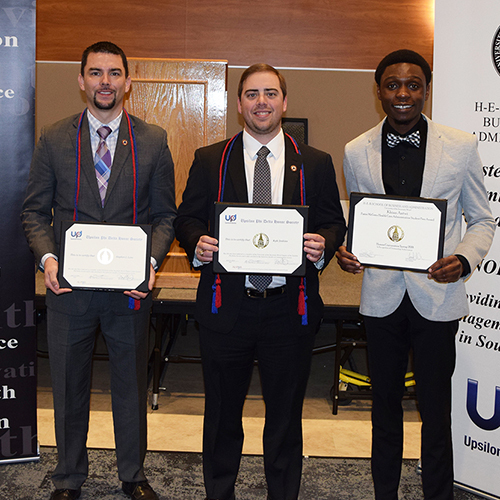 Four students in the Master of Health Administration program were inducted into UPD in the spring of 2018. The 2018 UPD inductees for UIW were Stephen Lane, Omar Basam Thannoun, Zahida Mahmood and Kyle Jenkins. Seven students in the Master of Health Administration program were inducted into UPD in the spring of 2017. 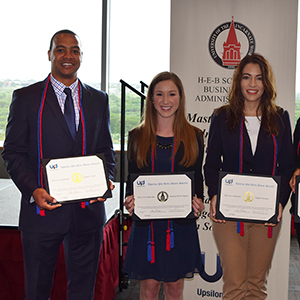 The 2017 UPD inductees for UIW were Brittany Nicole Angelos, Stephen Phillip Gutierrez, Tiffany Gisela McLean, Magdilas Morales, Matthew Thomas Reyna, Antoniette Ruffino and Justin L. Smith.